Supports DVB-T/DVB-H, ATSC 8VSB, QAM(DVB-C & USA-QAM), DVB-S/DVB-S2, T-DMB, ISDB-T, ISDB-Tmm, CMMB, ISDB-S, DTMB, ATSC-M/H, DVB-T2, DVB-C2 and DVB-S2X modulation standards! 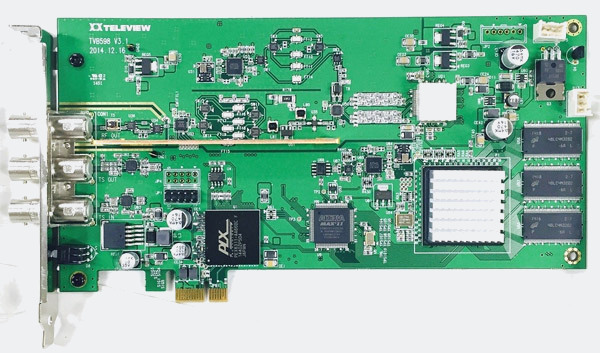 The TVB598 is a digital modulator in a PCI express card. The TVB598 is capable of using input from a built-in DVB-ASI input port or Transport Stream (TS) files located on the user’s harddrive. Output is a 55~2150MHz selectable RF signal compatible with most industry modulation standards. The TVB598 was specifically designed to be the ultimate STB testing and R&D platform. Or as a low cost modulator for a small in-house broadcast network. Click on “Download Datasheet” for technical specifications. Choose minimum one option, maximum – all options.